Apple is reportedly planning to release new iPhones this year including the successor to the budget iPhone SE i.e. iPhone SE 2. Since the information regarding ‘Budget iPhone’ is scare, the latest regulatory filings give us details on the smartphone’s inception, reinvigorating our spirits. 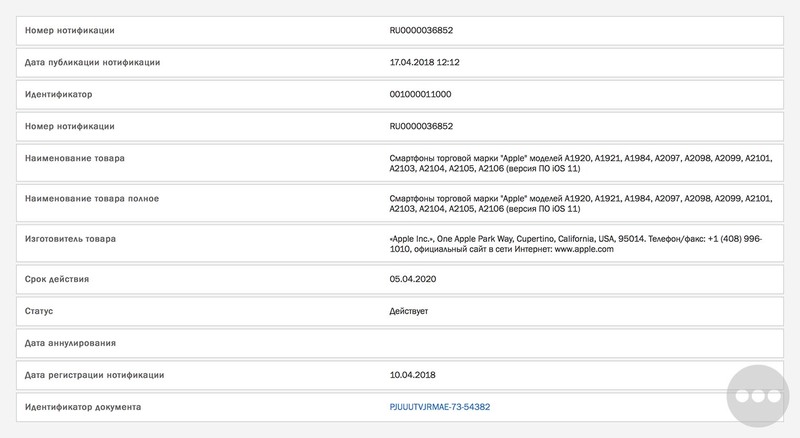 The latest regulatory filings are spotted by Consomac and reported by 9to5Mac reveals the listings of several unannounced iPhone models. It should be noted that Consomac is the same the regulatory that pointed out the forthcoming arrival of the AirPods, the iPhone 7, the new MacBooks and the recently launched iPad that is why it shouldn’t be discounted. However, this time, a new filing discovered by Consomac details a handful of yet-to-launch iPhones across eleven model identifiers. A device generally appears in this database nearly a month before the shipment. These iPhone references were posted yesterday, which suggests a new iPhone launch will be debuting in early next month i.e. in May or June. Looking at the database, it’s safe to say that the spotted model is not the iPhone 11, iPhone X2 or iPhone X Plus as the three new flagship iPhones for 2018 are set to release in the third quarter, two OLED models and one cheaper 6.1-inch handset. This leaves the iPhone SE, almost certainly the best bet for a new iPhone launching in the next couple of months. The current iPhone SE was launched in 2016, so it’s overdue for a refresh as per the Apple’s typical product roadmaps. The upcoming iPhone SE2, as noted by WccFtech, might boast the similar chassis as the original iPhone SE and give it a specifications boost. The budget iPhone is also rumored to provide wireless charging support. Moreover, we could also see the similar thing on iPhone SE 2 as we saw in iPad 6 – an A10 Fusion and 2GB LPDDR4 RAM upgrade. As far as release date is concerned, it is doubtful Apple will hold a media event just for iPhone SE2 launch. Also, there’s a very little chance that they launch iPhone SE 2 during WWDC 2018 in June because Apple hasn’t released a new iPhone at WWDC since the iPhone 4 in 2010. Alternatively, Apple used the keynote as a stage for other hardware announcements – like the HomePod and iMac Pro last year so there is also a minor chance that we might see new iPhone SE2 during developer’s conference this year.